I first heard about meal planning when my kids were little, and it totally revolutionized my life! Okay that might be a little dramatic, but it definitely made my life a lot easier, and moms know that anything that can do that is worth a try. I used to be a very strict meal planner and my whole life ran smoother because of it. It is funny to think that one simple thing like planning out your meals each week could be that important. 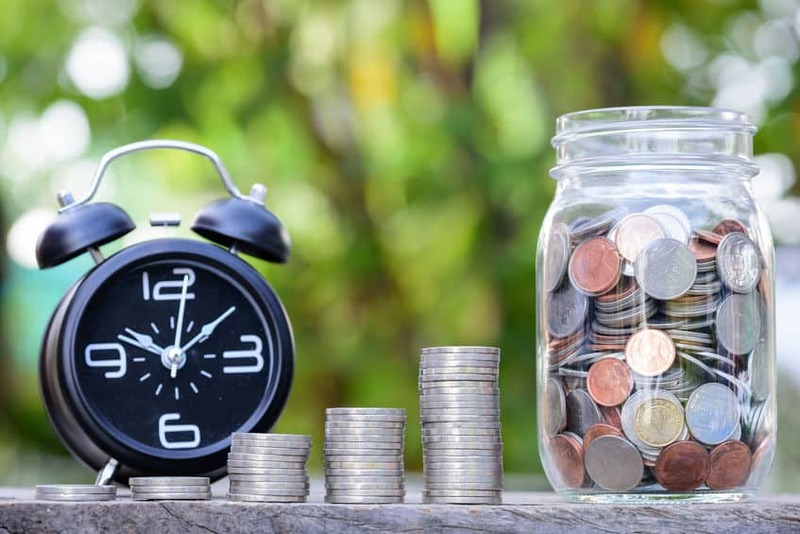 I am here to tell you that it really works to save you time, money and stress. 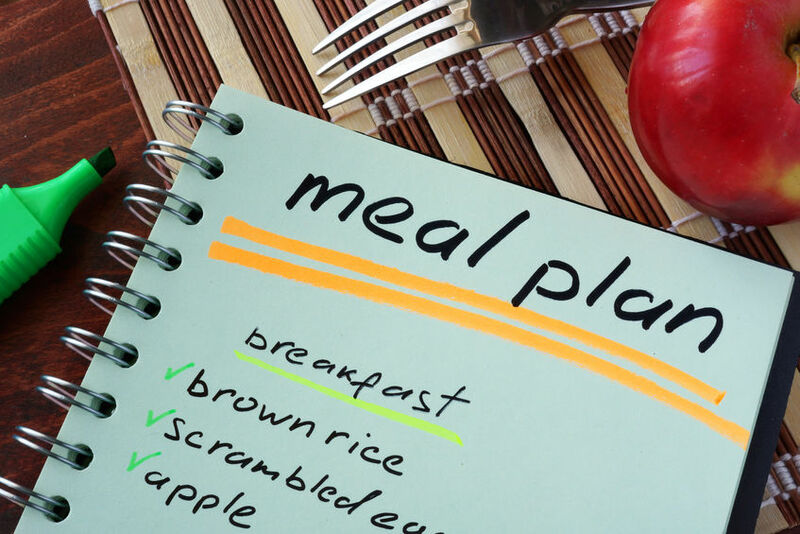 It doesn’t matter if you choose to meal plan one week at a time or if you’d rather come up with a 30 day meal plan, the point is to make a plan and stick with it! 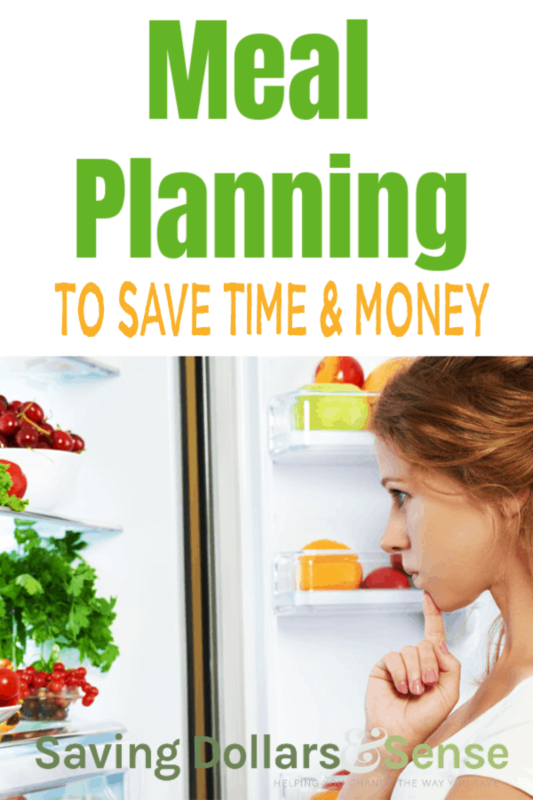 How does meal planning save time? I spend about 15 minutes on Sunday filling in my menu plan for the entire week. We basically eat the same things for breakfast everyday, so that one is easy. Oatmeal or eggs…CHECK! The same goes for lunches. We usually have salads, sandwiches or leftovers. CHECK, CHECK! Then I just need to come up with 7 dinner ideas. I start by looking in my freezer to see what meats I have on hand. I choose meals based on what I already have. So right now I happen to have some salmon, chicken, beef stew meat and hamburger. I plan to make Chili, Salmon & Asparagus and Beef Barley Stew. That is already three meals! I also have quite a bit of chicken, so I will pick some of our favorite chicken dinners to fill in the rest of the week. The entire time that I am doing this I have a piece of paper to jot down anything I might need to pick up from the grocery store. By the time my 15 minutes is up, I have all my meals planned and my grocery list written out. I save a ton of time throughout the week doing this one thing! How does meal planning save money? When I head to the grocery store each week, I already have a plan and a list in my hand. This saves me from buying things I don’t need or plan to get in the first place. I usually have a budget going into the store based on what is on my list. I’ll usually check out the clearance meats to see what I can find. If I do find some great deals, those become the base for the following weeks meals. Shopping this way saves me so much money because I am rarely paying full price for my meats. How does meal planning save stress? I remember the days before I began menu planning. Every day it was the same thing…usually just around five o’clock the thought would pop into my head. The panic would begin because I was usually completely unprepared and didn’t have a clue what I was going to make for dinner. Now I never have to go through that ordeal because I already know. 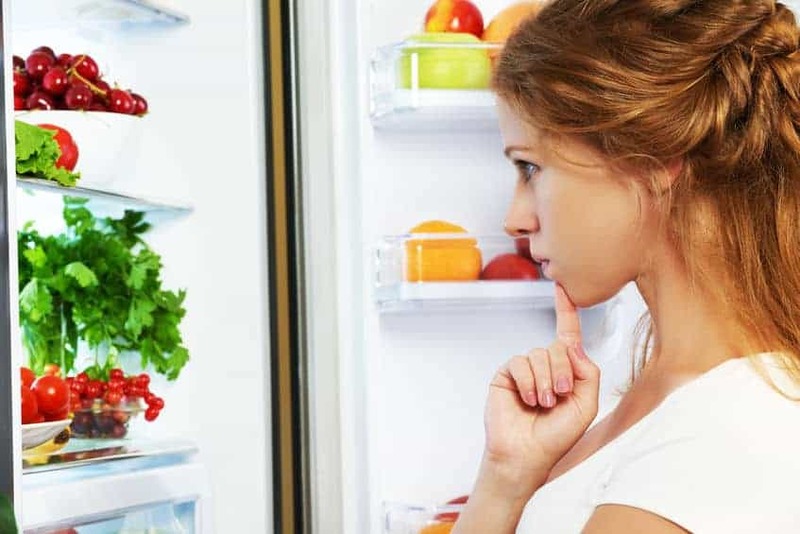 I can glance at my menu plan on the fridge each morning and see what’s for dinner. I can pull out anything from the freezer that may need to thaw, and that saves me from the unnecessary stress of going to make diner only to realize I forgot to thaw the meat in time. Or worse, breaking down and ordering pizza or fast food because everyone was already waiting for something to eat and I know I had nothing. Bonus to menu planning is that we eat a lot healthier these days too! Menu Plan Monday is back again! Years ago I join several other bloggers each week to share our menus with each other and anyone else that wanted some menu inspiration. Beginning today, I will once again share my menu plan here with you each Monday. These menu plans will generally contain some pretty healthy meals that are jam packed with flavor. It is my hope that you will be encouraged to begin menu planning if this is new to you or find some inspiration if you’ve been in a menu planning slump. We have a super busy week ahead of us and I won’t have a lot of extra time at home to prep or cook dinner each evening so I chose a lot of Instant Pot or slow cooker meals that my family will love. Taking the time to figure out our meals each week really helps us to continue our healthy eating habits, and you will see that I really prefer a simple meal that is easy to cook with as few ingredients as possible. 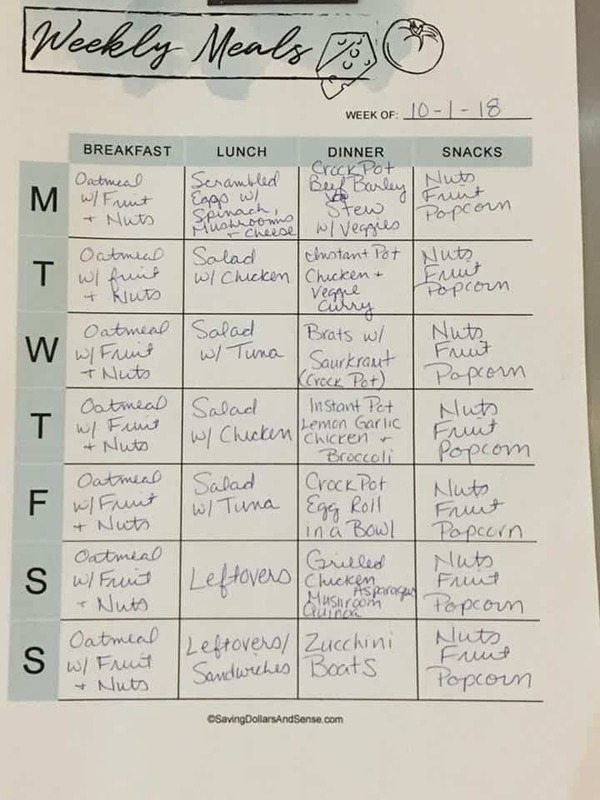 I use to love meal planning, but got out of the habit. I need to start doing it more. Not only does it help save money, but it helps us eat healthier, too! YES!! I always eat healthier when I am practicing meal planning too. We literally began our budget journey today and meal planning is something I am going to begin, thank you for the tips! How exciting!! I can’t wait to hear how it goes! I need to be better at meal planning. The school week is always so busy! Meal planning definitely helps during the busy times!! I just started meal planning and I found it really does save money! And I don’t let as much food go to waste. Yes!! I used to let so much of my produce go bad before I started meal planning. I need to get better at this . I REALLY DO!!! Meal planning is the one nut I cannot crack. Ha! Well I hope these tips make it a bit easier. It’s one of those things you just gotta go a few times before it becomes habit. Good luck!